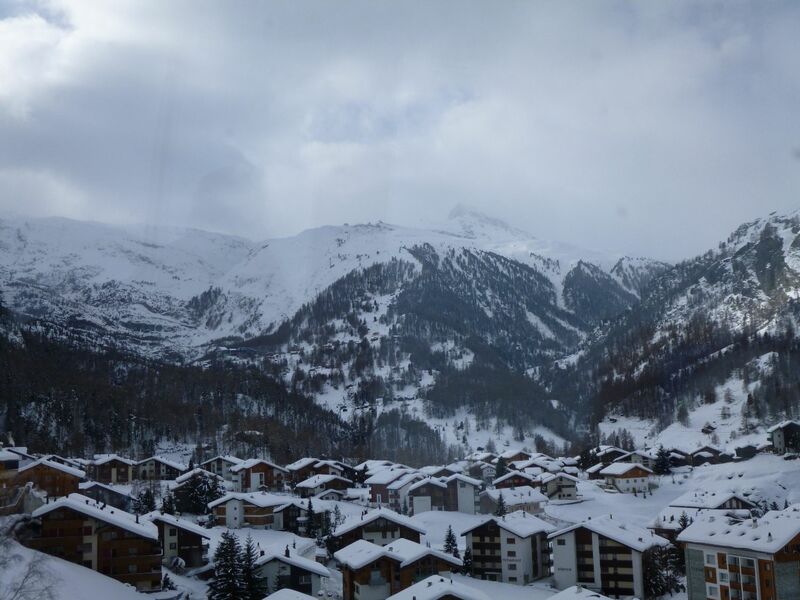 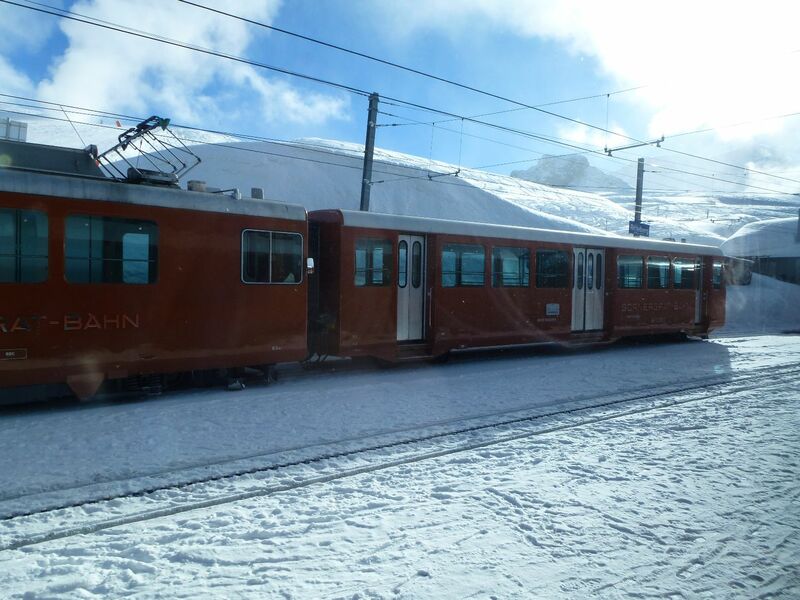 We took a train from Milan to Switzerland, changing to get to our final destination – Zermatt. 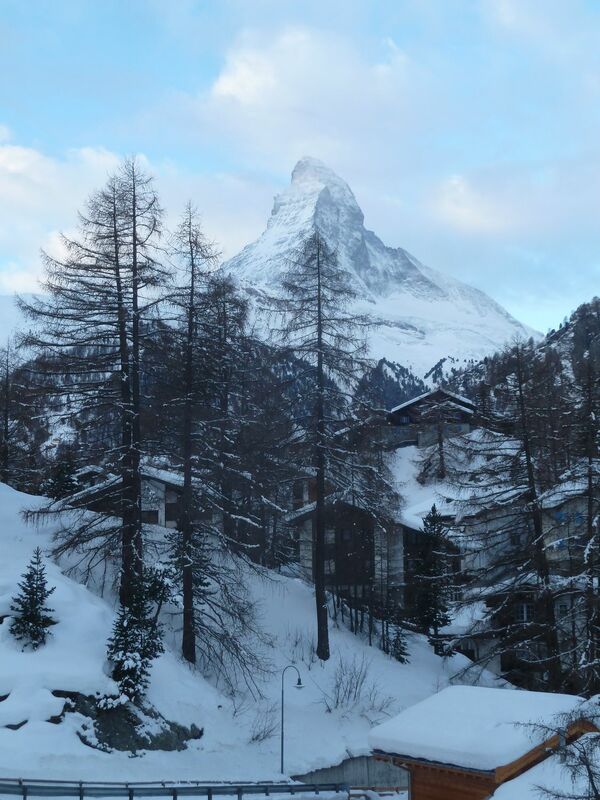 When we arrived it was grey and cloudy, with beautiful snow everywhere – Zermatt looked like a fairytale village!We walked down from our hostel and had cakes and coffee at a local cafe. 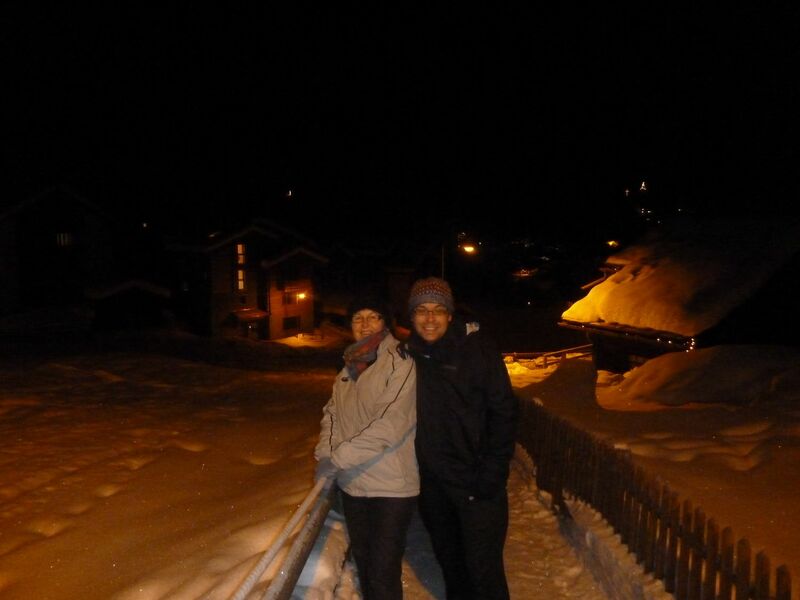 That night after dinner Lynette, Reubs and I went for a late night walk in the snow, just for fun. 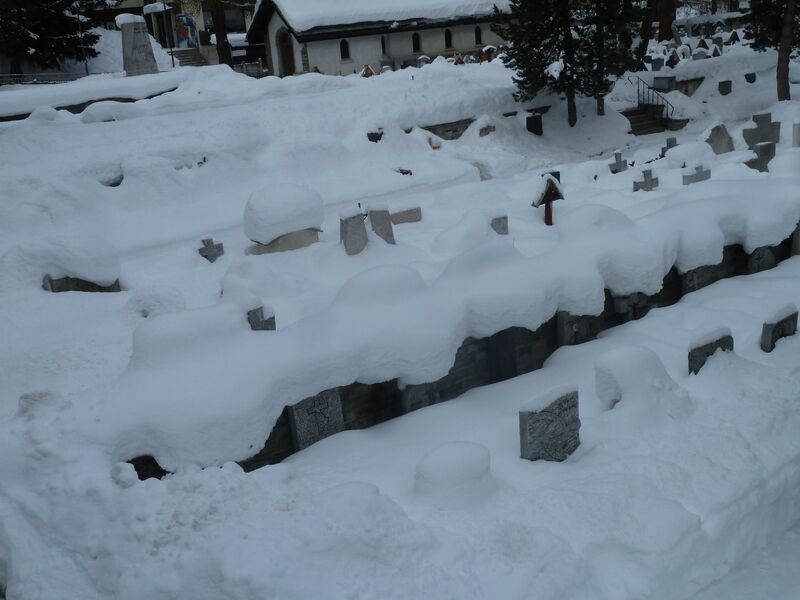 Wandering around town, apparently this is the graveyard under snow! 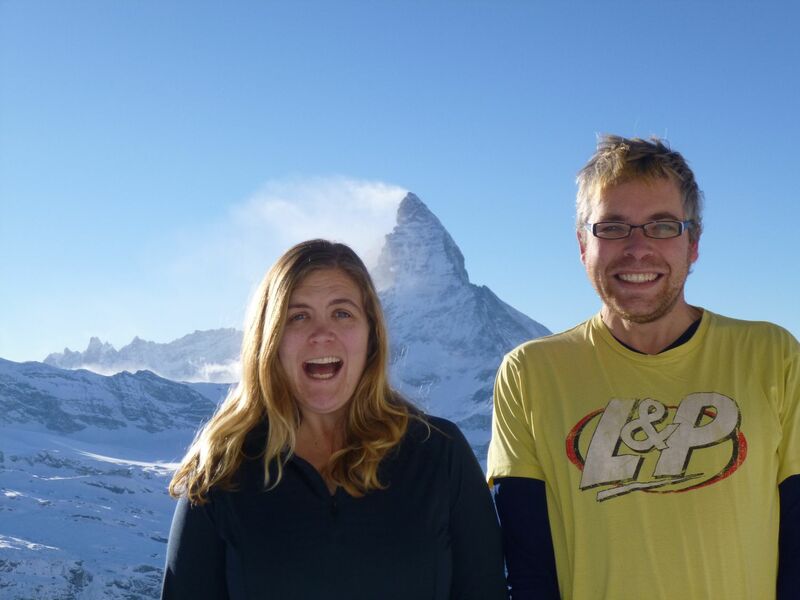 I (Karen) woke up at 7am on our full day in Zermatt. 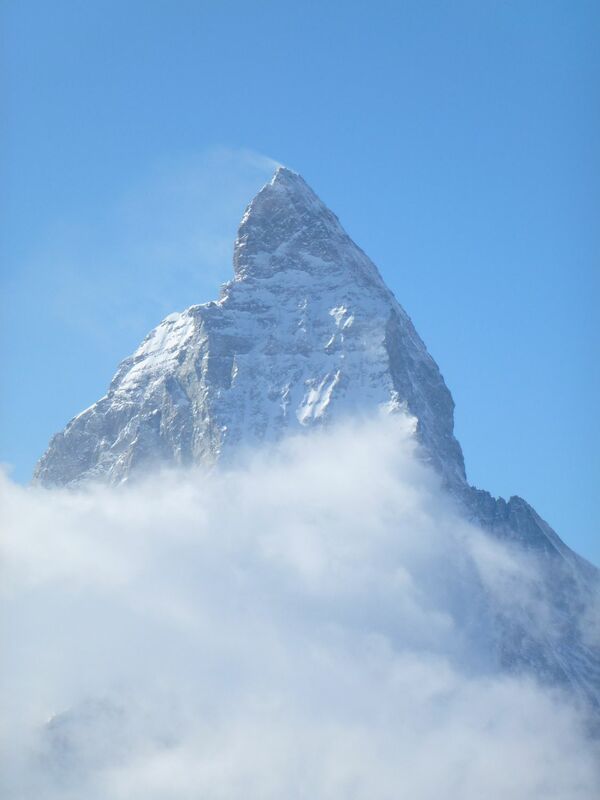 Climbing down from my top bunk, I saw the Matterhorn from our dormitory window! 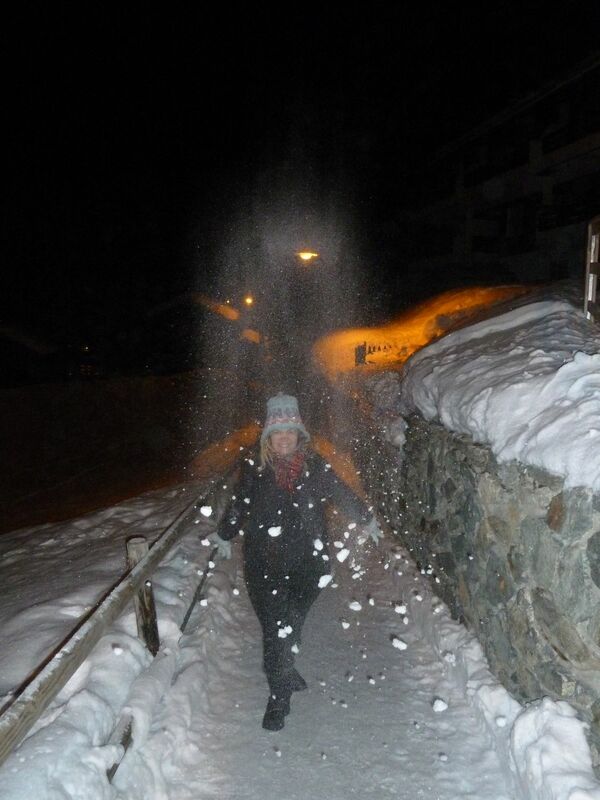 I decided to wake everyone and tell them it was clear – some were more grateful than others for this! 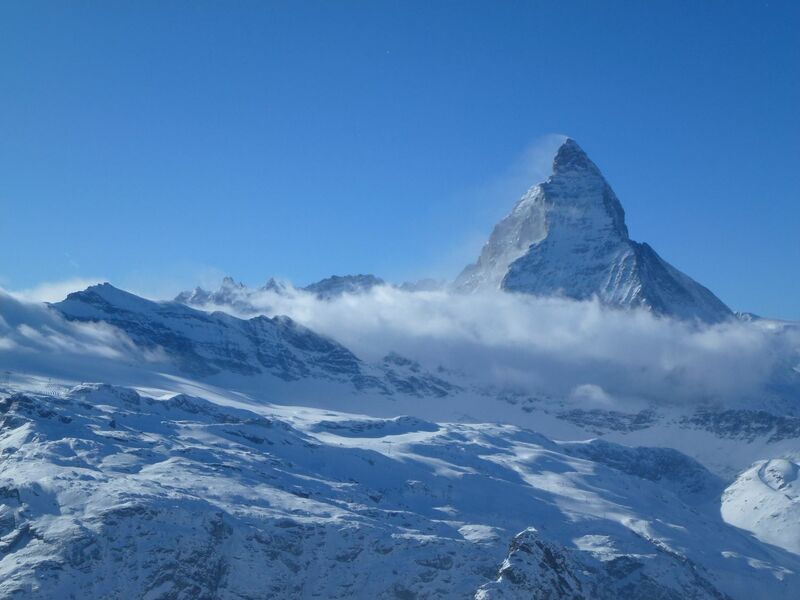 Later that morning, with the mighty Matterhorn still clear, we took the Gornergrat railway up into the clouds. 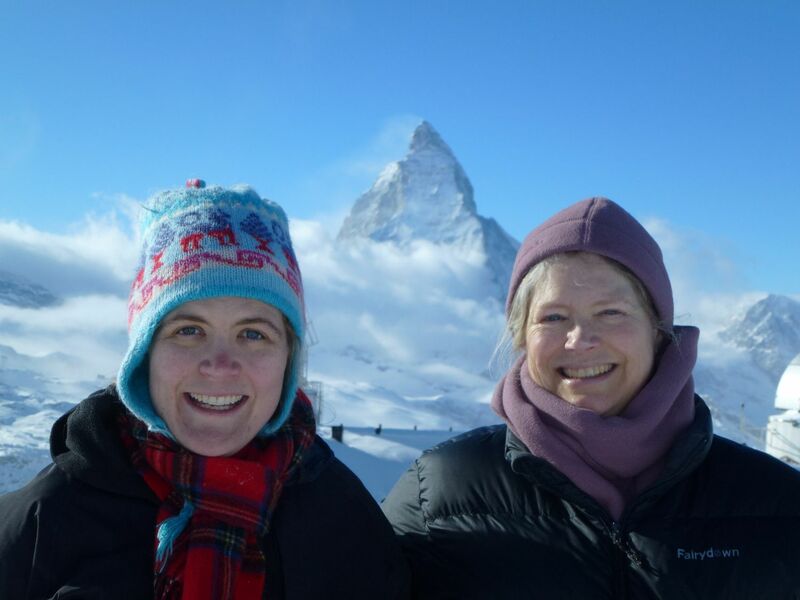 At the top we waited – and suddenly the clouds lifted and we had clear views of the Matterhorn and surrounding Alps It was breathtaking. 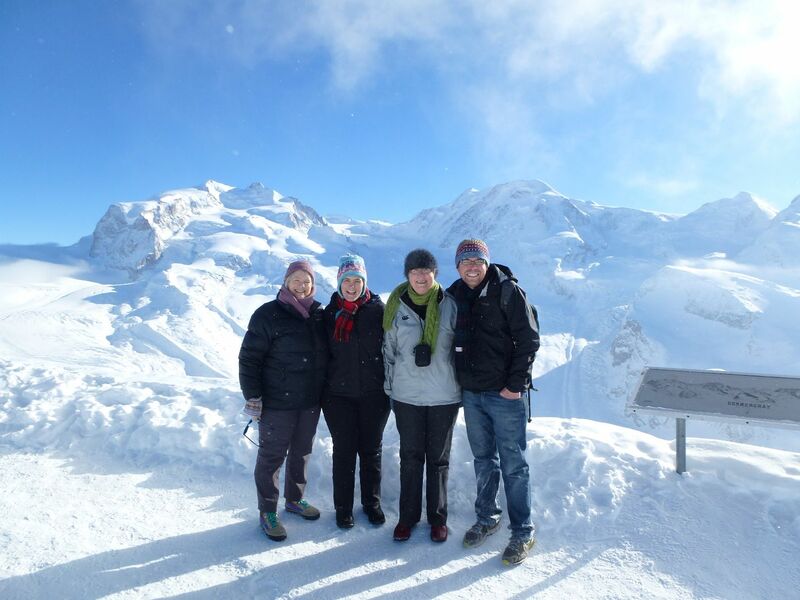 It almost made us forget that we were standing in snow at -22 degrees! 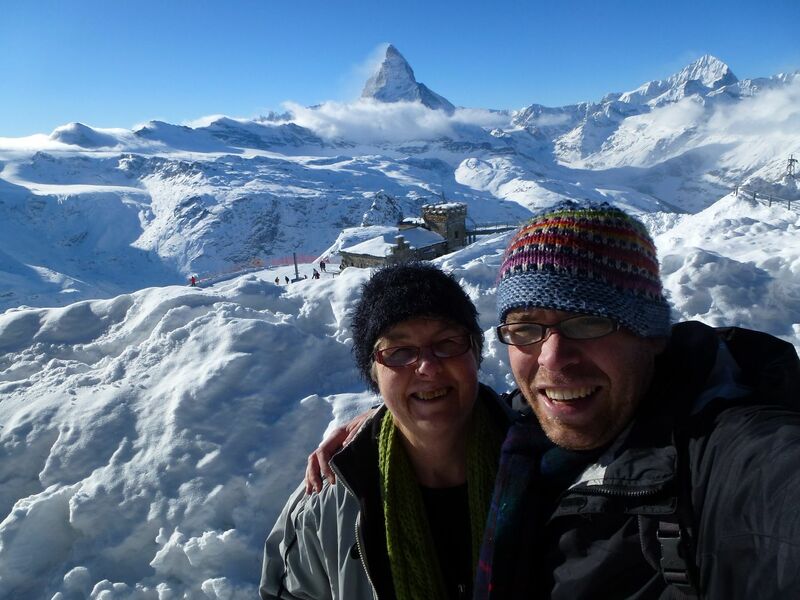 We spent about an hour outside taking photos before heading for a much needed hot drink. 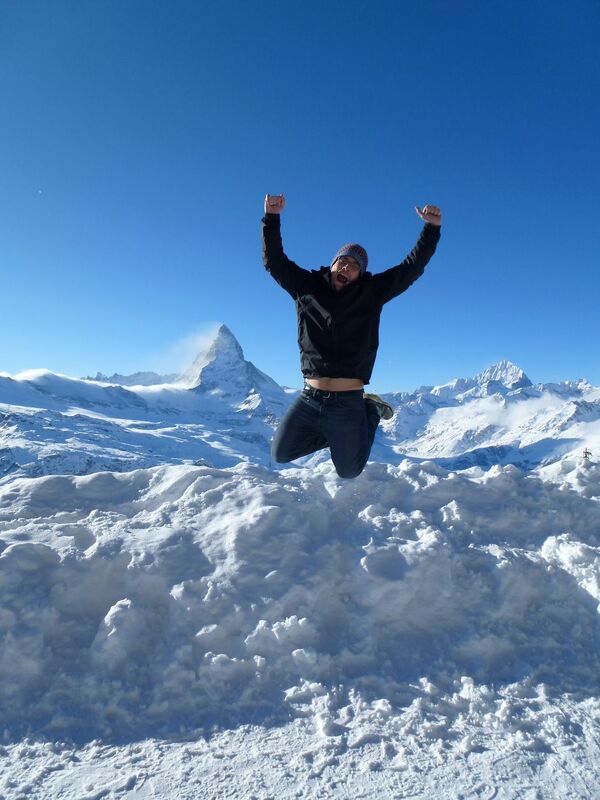 This was an amazing day and we loved it! 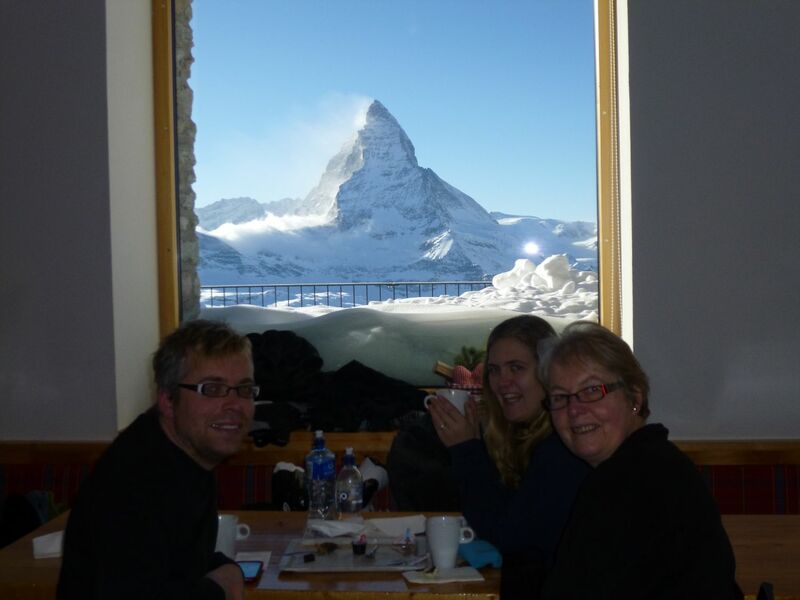 Warming up with a hot drink – what a view!